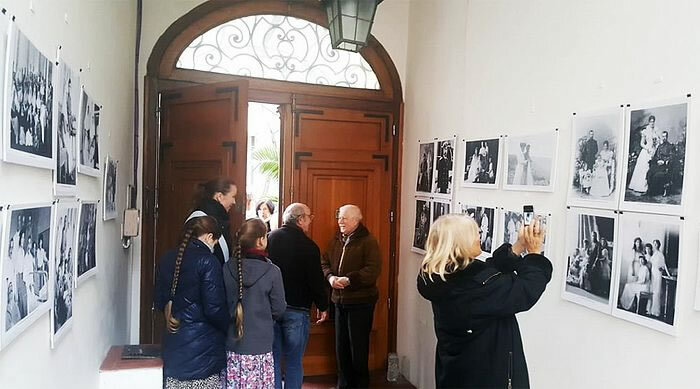 On July 22, 2018, Resurrection of the Lord Cathedral in Buenos Aires hosted an exhibition of photographs of the Royal Family of Russia. 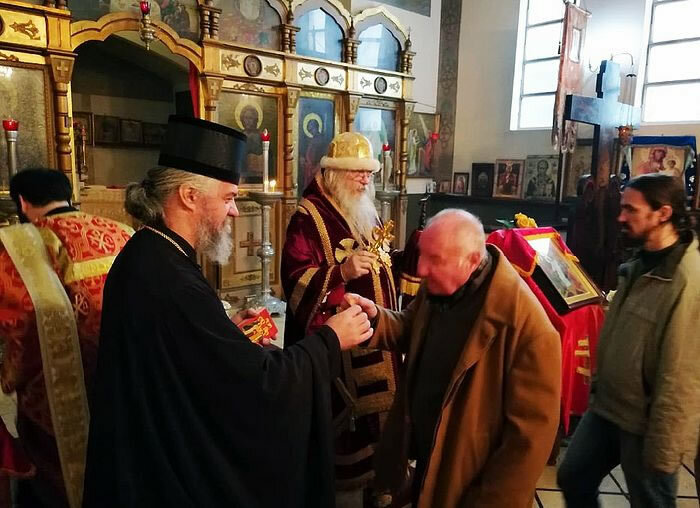 Divine Liturgy was celebrated on Sunday morning by His Grace Bishop John of Caracas and South America along with His Grace Bishop Kirill of Buenos Aires and Central and South America of the Serbian Orthodox Church. Both hierarchs then attended the opening of an exhibition of photographs of Tsar Nicholas II and his family, which was followed by a banquet and a lecture by Igor Nikolaevich Andrushkevich, a social activist, publicist, historian, journalist and political analyst. The son of a emigre Russian colonel, Andrushkevich was born in Belgrade, Yugoslavia, in 1927, and in 1948 moved with his parents to Argentina, where he studied philosophy and journalism. He has always been a social activist, reading lectures in Russian and Spanish on history, philosophy, politics and economics. Andrushkevich’s Spanish-language lecture was titled “The Reforms of Tsar Nicholas II,” offering a brief historical overview of the Russian government in the early 20th century, demonstrating the broad progressive efforts of the last Russian Tsar, whose wise initiatives were later erased by consequent historical events. Many Russians, Argentinians and Serbs attended the event, including historians and political figures, and diplomats from the Ministry of Foreign Affairs of the Russian Federation. 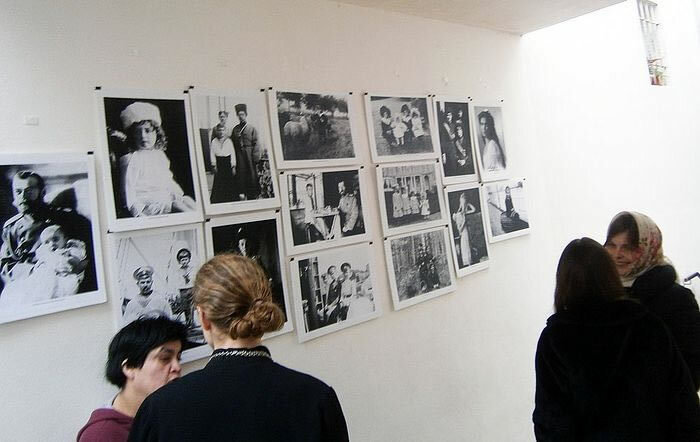 The exhibition of photographs of the Royal Family was prepared with the support of Sretensky Monastery in Moscow and the website Pravoslavie.ru.